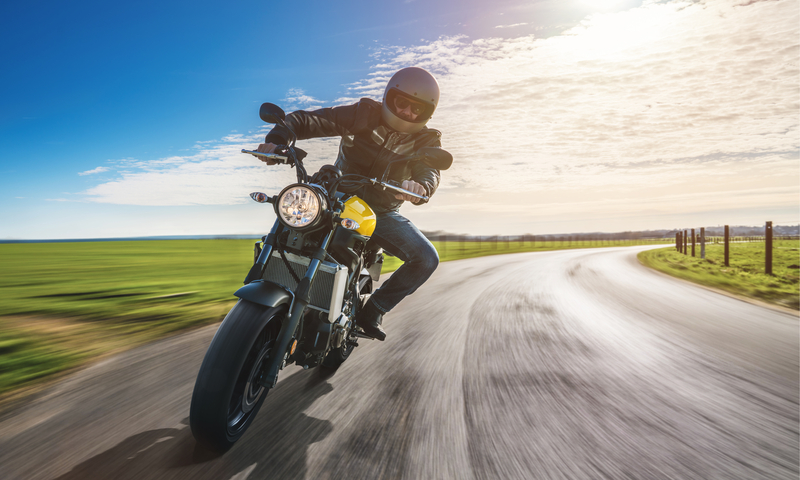 There is a growing trend in the number of motorcycle fatalities and accidents each year, making motorcycle safety a real concern for riders. Read on for some basic tips to help you arrive at your destination…safely. Many riders do not obtain the proper motorcycle license and training to learn how to properly operate the bike. Riders speed excessively while also weaving in and out of traffic lanes. Riders are under the influence of drugs or alcohol—the cause of almost half of all motorcycle accidents. Attend motorcycle training courses and get a license specifically for a motorcycle. Always wear a helmet and other appropriate gear. Do not drink alcohol or use drugs while operating a motorcycle. Practice using the controls and gears while your bike is off and parked. Look out for hazards such as potholes, cracks and bumps in the road. Exercise extreme caution when you are carrying passengers. Do not tailgate or weave between lanes if traffic is slow. Abide by traffic laws, just like motorists are expected to do. Always use turn signals to warn motorists of your intentions.